If you’ve been waiting for Facebook to release Facebook Messenger for Windows, you can now download a leaked version. This version if officially from Facebook and can be downloaded right now. Although you can download it right, this is not an officially launch and you can find some bugs or things might not be working. The client run very smooth for me, is simple to use and is not cluttered with a bunch of options or features. The Messenger is nice, but you won’t be missing much if you keep you keep using Facebook on the browser. 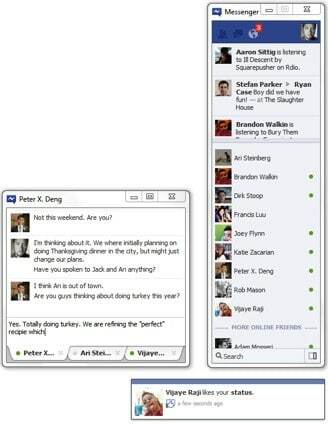 You can download the Facebook Messenger Client for Windows 7 here. Update: Facebook has made it officially available. Yo can download it from the link above and check the help center for Facebook Messenger for Windows on Facebook.